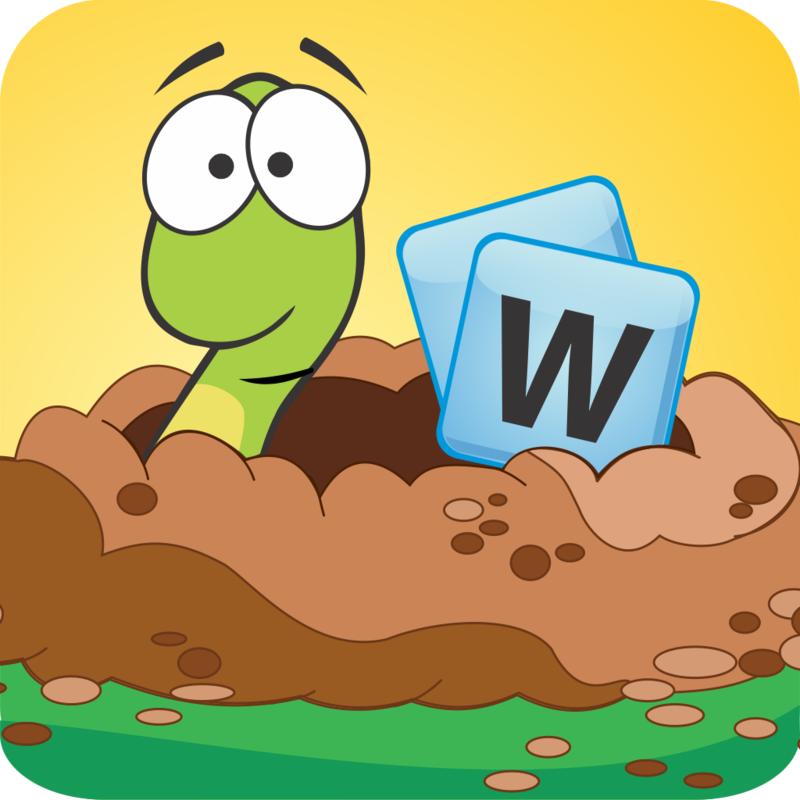 WordWOW - Word finding frenzy ($1.99) by DonkeySoft Inc. is a puzzling crossword-style word game featuring an adorable little inchworm, just the kind you’d expect to see in your apple. Don’t be fooled though; this is most certainly not a game strictly for kids. In fact, the nature of the game depends entirely on several factors: luck, your vocabulary, and your quick thinking. That’s right, not only do you have to figure out word combinations, but there’s also the additional pressure of a ticking time bomb. 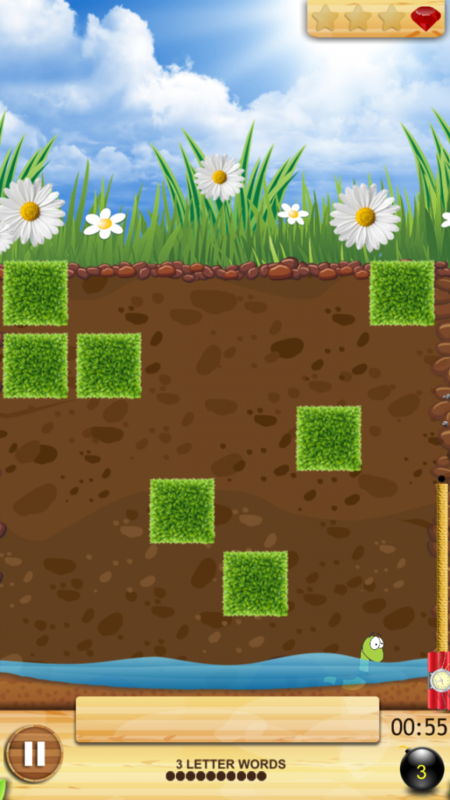 The game is played by a little worm in the grass who has to get down under the ground in order to stop a bomb from detonating. I know, it’s kind of a lot of pressure for a tiny worm. But don’t worry, you can help by clearing the way down through the earth for your little critter. Each layer contains a set of letters. In order to form a word, you have to pick letters from top to bottom. You can pick as many letters in one row as you want, but once you pick a letter from the row below it, you can’t follow that with a letter from higher up. As long as you follow these simple rules, you can form a word. 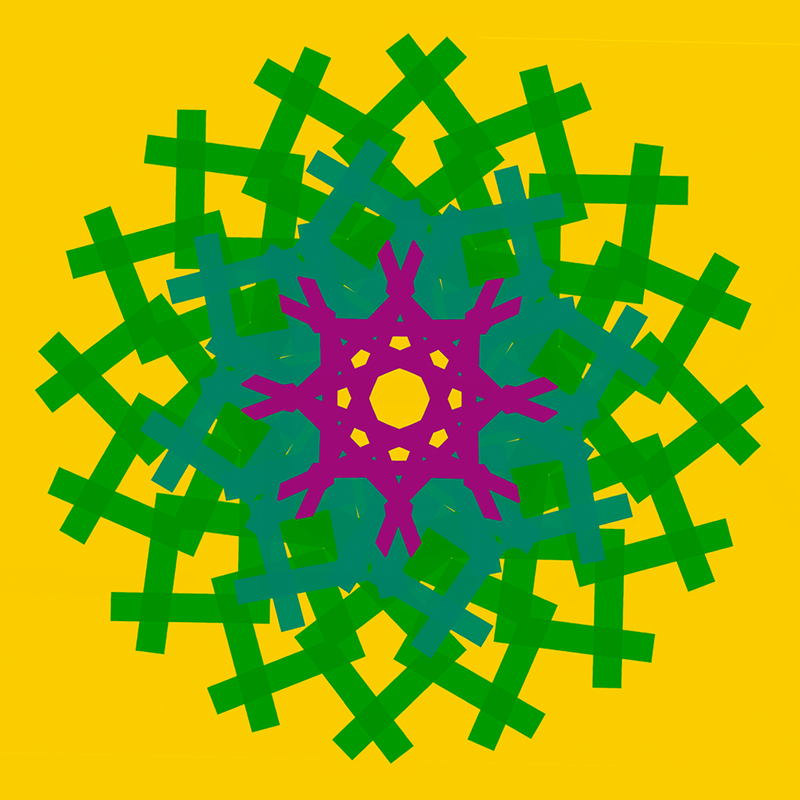 When a word is formed, it will appear green. 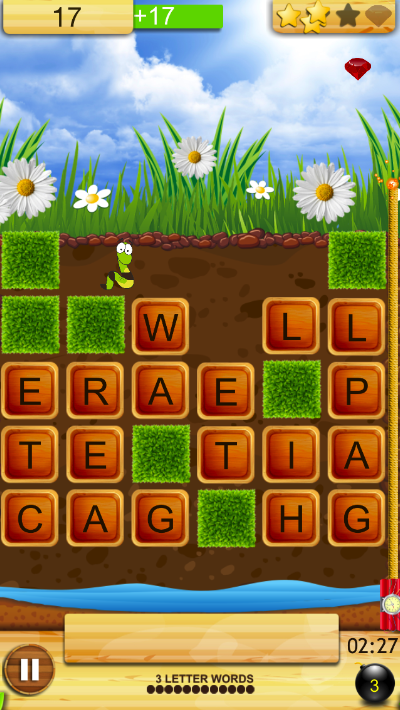 After submitting it, all of the letters used to form that word disappear, allowing the worm to crawl through that space and venture deeper into the ground. Sounds easy enough, right? Well, as any good game will have, there’s a catch or two. First of all, you’re required to do slightly more critical thinking than usual. You see, there’s only a limited number of times you’re permitted to use a three-letter word. After you’ve used your chances up, three-letter words will no longer count. Additionally, you cannot use proper nouns nor acronyms. For example, I tried to use the word “FIFA,” as in “Fédération Internationale de Football Association,” and it did not register as a real word. But there are also some hidden bonuses. For example, some letters give you power-ups, like an extra bomb. The graphics for WordWow are absolutely perfect, adorable, and cartoon-like. However, don’t be fooled. On an intellectual level and because of violence, I wouldn’t recommend this game for young children. The bomb exploding could startle a toddler, let alone the fact that toddlers seldom have the capacity to spell words at all. So, I’d say this game is ideal for ages 7 and older, but the game is just as enjoyable for an adult as it is for a child. I had to actively try to stop playing the game during testing so I could write the review. Another incredibly fun word game that actually just came out is LEX, which will appeal to anyone who loves Scrabble with some intriguing twists. If word search games are more your forte, we also recently covered the game Word Forward, which puts a modern spin on an old favorite. 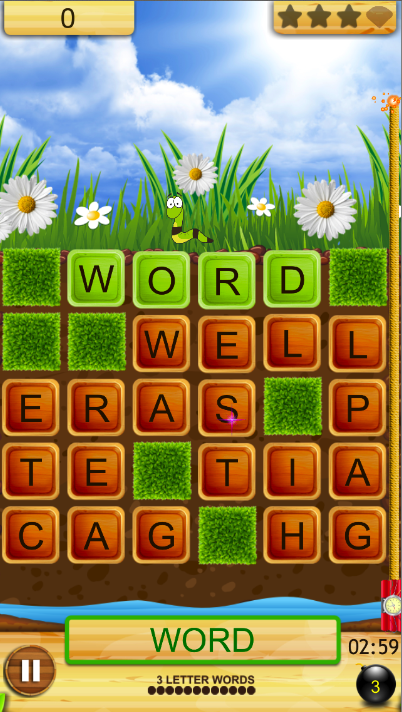 Overall, WordWow is an explosion of thought-provoking, perplexing, and thrilling fun for almost all ages. It combines educational characteristics with the quick-paced pressure of an action game to create an indubitably addictive app that you’ll find yourself playing for hours on end. WordWow is universal and costs $1.99 on the App Store.